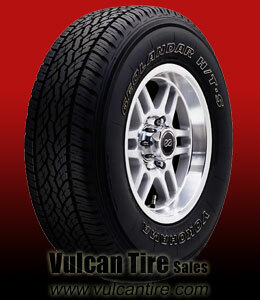 Good tires at a good price. These are on our E350 Ford van. We hated the E rated tires and wanted D rated for better ride since we NEVER load this van, it's used to haul two dogs and my wife to dog shows. The only problem is that the diameter is so large that they do rub a little. Otherwise GREAT! Outstanding tire! Amazing tread wear! '01 Ford Escape V6 4X4, 160 mile daily commute-driven with fuel economy in mind. Stock alloy wheels, Stock size P235/70/16, 32 psi nitrogen fill, road force wheel balance, normal rotations. Comfortable, quiet, good looking OWL tire. No age cracking. Vehicle now at 173K. Considering an upgrade to plus zero size. I would never hesitate to buy this brand again! I've had Yokohama tires before, loved them then and still love them. Best wearing tire I have ever used and seen!